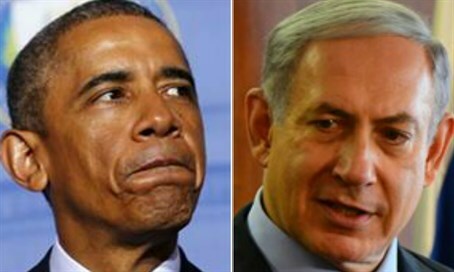 MainAll NewsUS & CanadaObama times Cuba visit to avoid Netanyahu? Obama is to be the first U.S. President in 80 years to visit Cuba, but the timing of the visit means he will miss AIPAC, Netanyahu in U.S. The White House announced on Thursday that U.S. President Barack Obama will make history as he will be the first U.S. President to visit Cuba in over 80 years. The state visit is a direct continuation of the Obama's historic achievement from last year when he initiated diplomatic relations between the two countries. Diplomatic relations between the countries was severed 6 decades ago. The President announced the news via his Twitter account on the same day. "14 months ago, I announced that we would begin normalizing relations with Cuba - and we've already made significant progress," he tweeted. "Our flag flies over our Embassy in Havana once again. More Americans are traveling to Cuba than at any time in the last 50 years." It is expected that Obama will meet with Cuban President Raul Castro, as well as various entrepreneurs and VIPs of Cuban society. The statement by the White House made waves in the U.S. media, however, most of the press overlooked one important fact which relates to Israel, the timing of the visit. Obama’s visit to Cuba, is scheduled for Mar 21st and 22nd. From there he is expected to continue his trip through Latin-American countries. His departure from the U.S. during that time will mean that he will be absent during the AIPAC conference and consequently miss the visit to the U.S. of Israeli Prime Minister Binyamin Netanyahu, who is expected to speak at the conference. The last time the two leaders met was in November 2015. Following the meeting Netanyahu said that it was “one of the best meetings I have had with Obama.” The White House was not so enthused. The last U.S. President to visit Cuba was Calvin Coolidge in 1928 when he visited the island country on a U.S. battleship.